Zombie Cats: What big eyes you have . . . 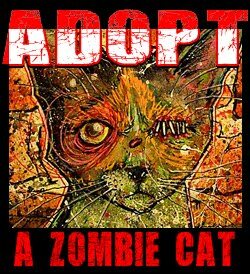 This zombie kitteh was drawn to my home late one night, when everything was dark and quiet. Drawn by the flickering light of a 60 watt bulb in a faulty light socket, it's huge eyes catching each flash of yellow and reflecting back a multitude of colors. To bad the camera can't capture how vivid those colours are. 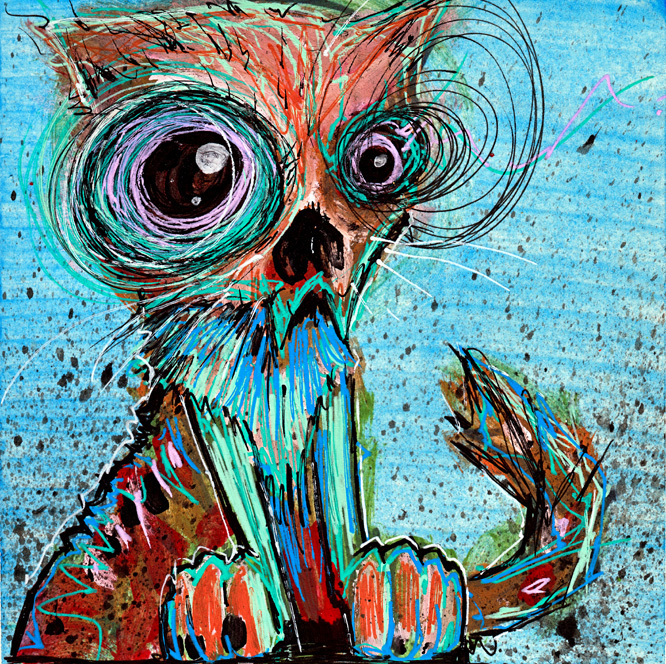 This 5"x5" mixed media on paper zombie cat painting is available. Message me if you wish to own it.